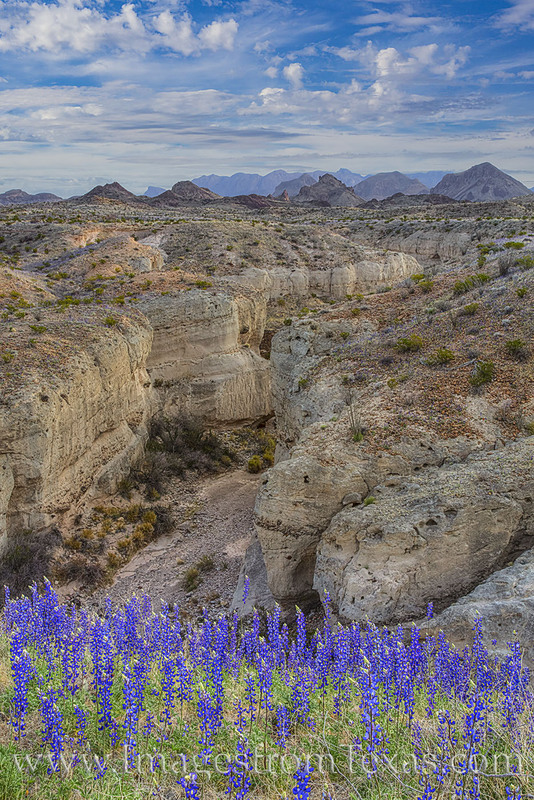 Bluebonnets cling precariously to the edge of a cliff along the Tuff Canyon walls. With the Chisos in the distance, seeing bluebonnets in this area of the Chihuahuan Desert was pretty amazing. A rugged landscape with beautiful wildflowers is a sight not soon forgotten. Photo © copyright by Rob Greebon.